I’ll never forget my buddy Paul complaining to me about Bangerter Highway. 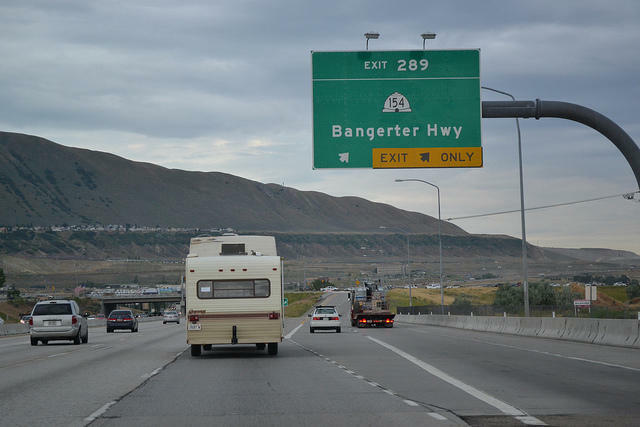 He’s from Ohio, where the word “highway” means “freeway.” But putting aside English-language nuances, he has a good point — and one most Salt Lake County westsiders have complained about for over two-decades: Bangerter should’ve been a freeway. (It also should’ve included a pedestrian component, but that’s another discussion for another time). About a decade ago, one of the earliest intersections to fail was 3500 South. For reasons I’ll never understand, leaders in West Valley City told UDOT they didn’t want a freeway-style bridge because it would “divide the city” (or some unintelligible reason). They call it a “continuous flow intersection.” But that’s just marketing inside baseball. Really, it’s a weird intersection that displaces the left-turn bay to the far left-hand side of the intersection so left-turning cars to turn left simultaneous to the through traffic. 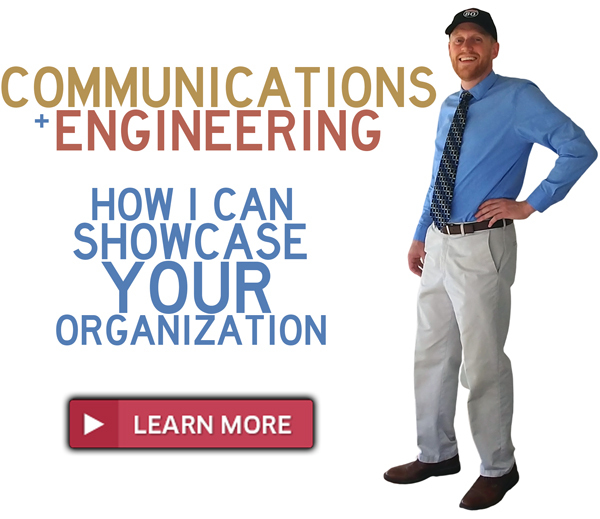 They claimed it would save 30% red time for Bangerter. Over the summer of 2011, they replaced every traditional intersection from 3100 South to 7000 South with a CFI. It appears to work. Once I get stopped at a red, I get into a ‘sync’ which appears to give me green lights most of the way. Well done, UDOT! The unthinkable finally happened a few years ago. A big smile spread across my face as I noticed 7800 South bump up in WFRC’s “TIP” (a list of funded road projects) to a high-priority project. When the new interchange opened, West Jordan was actually usable again. 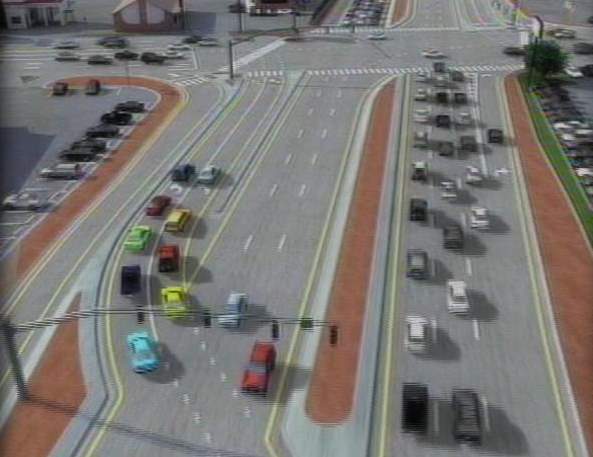 New freeway-style interchange replaces at-grade signal. Bangerter (SR-154) and 7800 South in West Jordan, Utah. 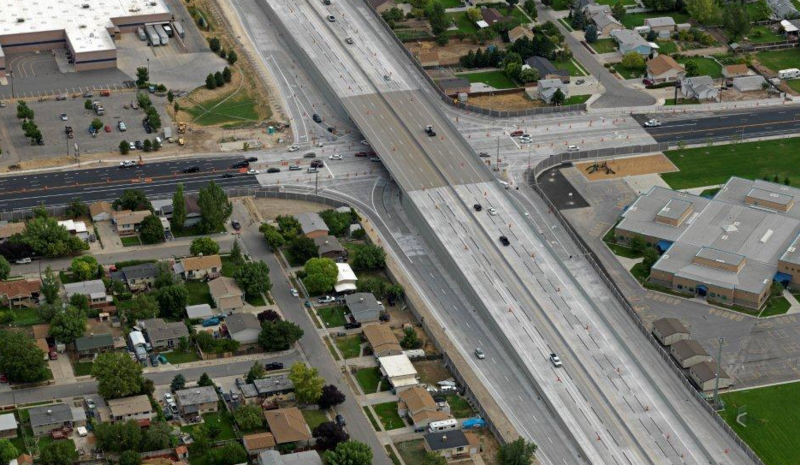 We’re well underway to a second freeway-style interchange at Bangerter and Redwood in Bluffdale, Utah. So the question I keep anticipating the answer: How soon will the rest of the highway be converted into a full-on freeway? 600 West: This would replace the signal at 200 West in Draper (near IKEA). The new interchange will provide access to the Draper Frontrunner station, as well as connecting Frontrunner Blvd. to land on the southern side of the highway. It’s probably in anticipation of a future closure of the Utah State Prison and providing access to future development on its site. The interchange is funded for fiscal year 2018, so we could see bulldozers on site in just three short years. UDOT told the commission that it could get bumped up a year or two earlier if the accountants can move money around in a favorable way. 9000 South: This couldn’t come sooner. It’s so busy, they didn’t even bother building a CFI, nor even retrofitting the undersized intersection with dual-left turn lanes on some of the legs. There are some technical challenges, for instance, the highway sinks low to cross underneath the Mid-Jordan TRAX line and Old Bingham Highway. The may require UDOT to build an interchange that has 9000 South cross above Bangerter, instead of the reverse (similar to 78th South). The interchange is also funded for 2018. 7000 South: Would create a 4 ½ mile continuous “freeway” from the 9800 South signal to 6200 South signal. Cost would be $41,000,000. 5400 South: That poor road is so busy, it has reversible lanes just to keep traffic moving during morning and afternoon peak. A little relief at Bangerter would be a huge help. Cost would be $60,000,000, probably due to encroaching businesses and a cliff near the interchange. 11400 South: Unbelievable that what was once an “afterthought” intersection a decade ago is now one of the busiest in the valley. Gateway to Daybreak and a new major cross-valley arterial, 114th would benefit well from a signal. Cost would be $45,000,000 in 2015 dollars. 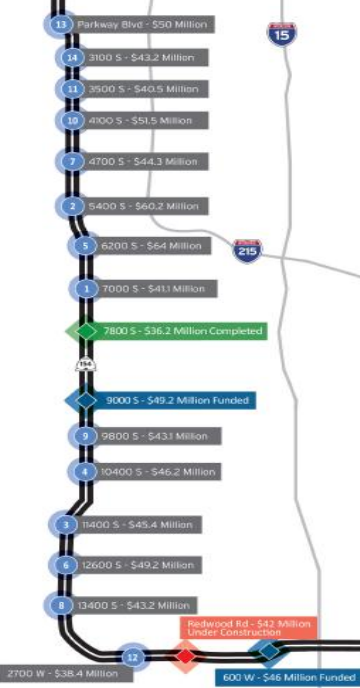 Cost estimates for grade separation along Bangerter Hwy (SR-154). Photo credit UDOT. 5400 South east west should be the freeway, all the way to Highland Drive. That is the only future solution for congestion in the valley.